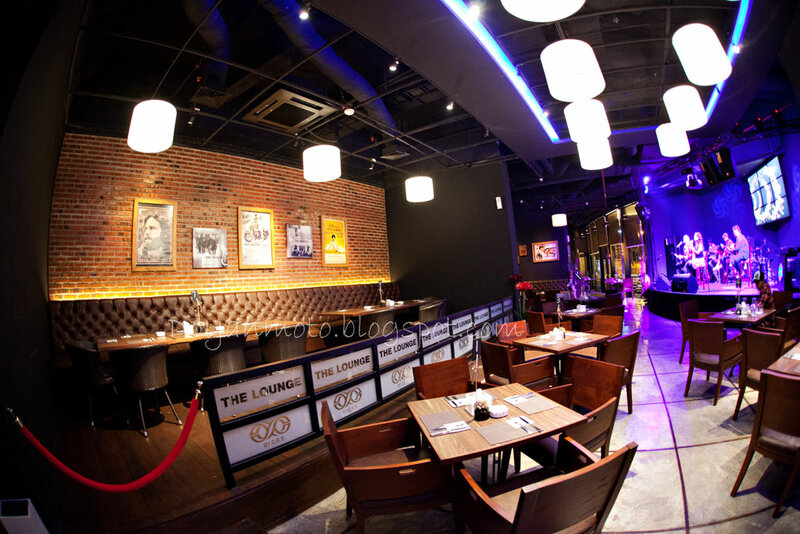 The Lounge as the name state is sort of a dive bar, where the atmosphere is casual with a live music entertainment. From the menu, they seems to emphasize on drinks option, the food served are typical of pub's grub. Assortment of burger, pizza, chicken wings and BBQ. It's adjacent to The Capital, which also similarly themed, though having different patrons in mind. The Capital is a bit pricier and upscale. 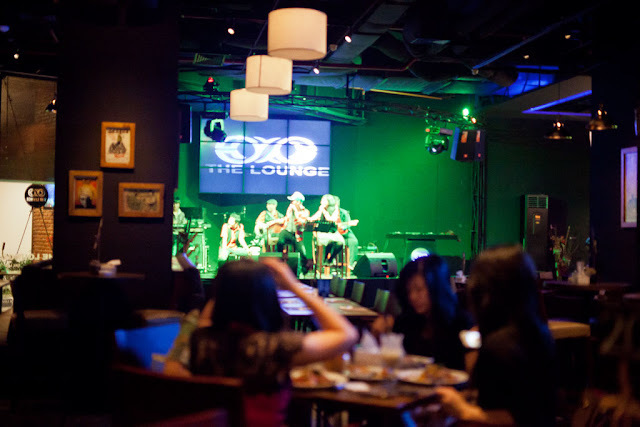 Sesuai dengan namanya, the lounge adalah tempat hang out yang lebih mirip pub daripada restaurant, alunan live music dan pilihan minuman yang beragam menjadi daya tarik utamanya. 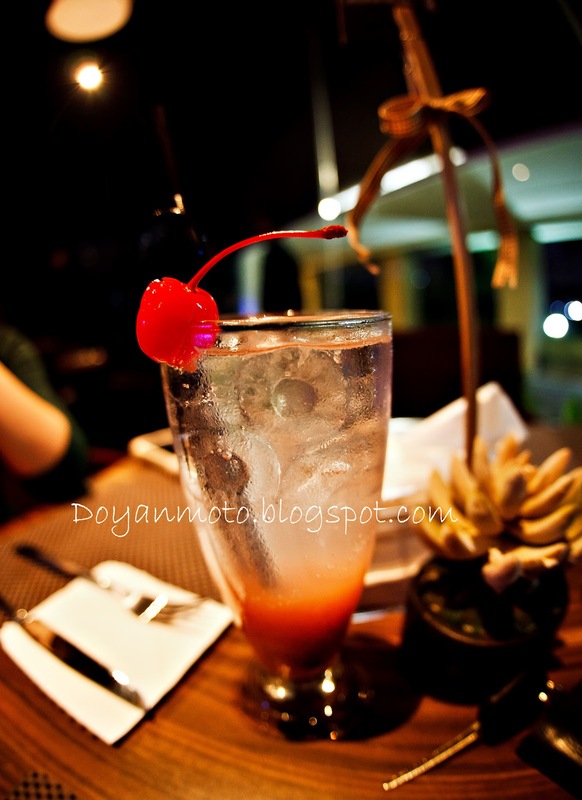 Minuman yang disajikan memiliki nama-nama unik, sebagian ada yang beralkohol, sedangkan untuk makanan berkisar pilihan makanan pub pada umumnya seperti pizza, burger, chicken wings dan bbq. Letaknya dekat dengan the Capital yang lebih dahulu terkenal. 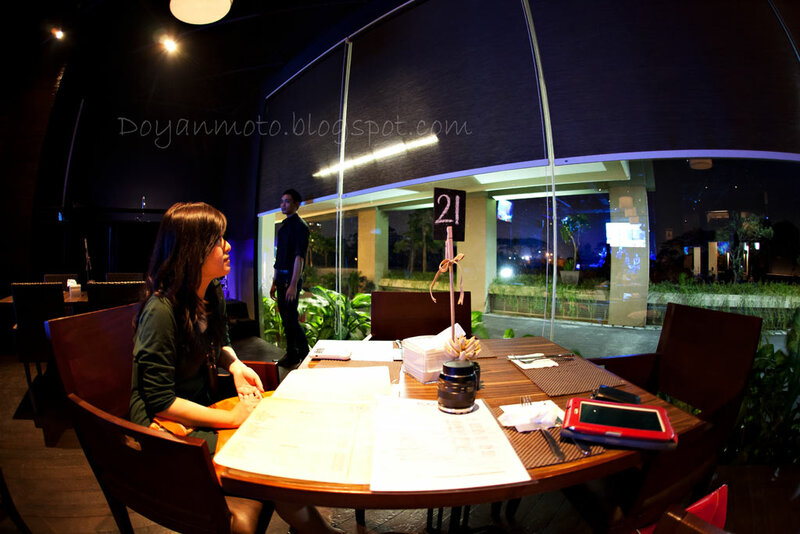 This place is quite accomodating for photography lovers, they have a view of the street in some tables. And they're not so uptight about photo like the other establishment in the mall. Despite their namesake, the beverages here is not really memorable, it's just the same fare as any ordinary restaurant. Crude and sometime overwhelmingly sweet. I only tried one food menu, which was a burger. The burger itself is quite good, unfortunately the fries are just a soggy mess. Because we only had one food I can't really comment if the overall place is good or not for foodies, for this one alone, I won't recommend it for meals. 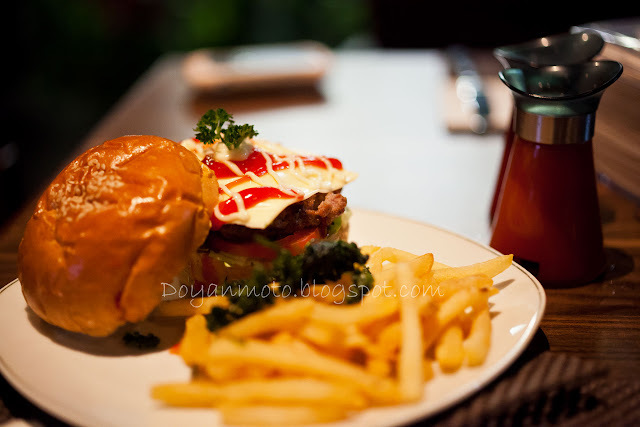 Burgernya cukup ok untuk ukuran pub, sayang penggorengan kentangnya agak kurang pas, sehingga agak soggy dan berminyak. untuk 3 item di atas, saya menghabiskan sekitar Rp 100.000. Tidak terlalu mahal untuk ukuran lounge. 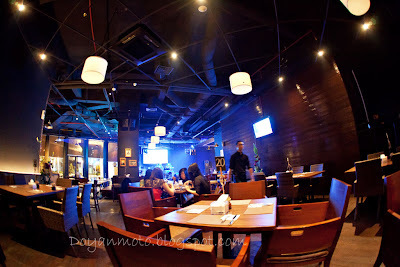 Quite a good place with decent entertainment and ambience. 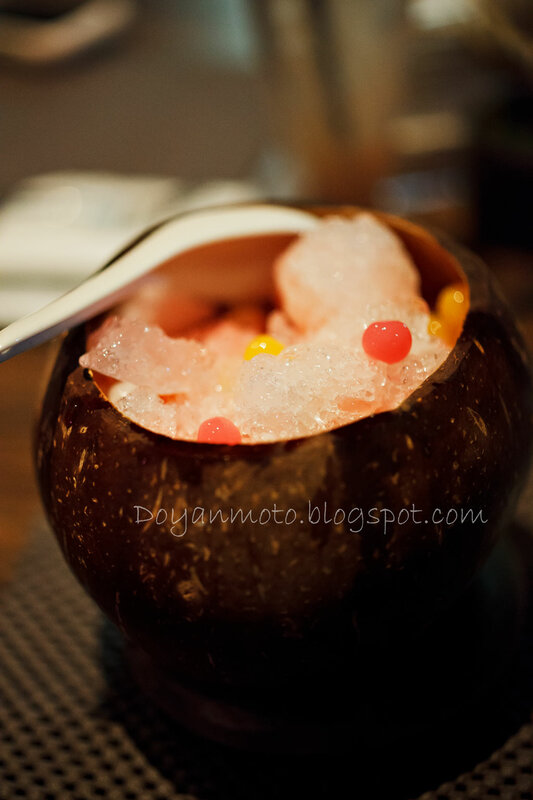 They could make lots of improvement on the food and drinks to elevate the experience. Such a shame if they took the menu halfheartedly when they have such a great place. They're also quite accommodating for shutterbugs, I took plenty of pictures without anybody making a fuzz about it. Overall cukup recomended untuk tempat hang out ala kadar, tapi jangan berharap banyak dari rasa, nikmati suasana dan live musicnya. Alternatif yang lebih ekonomis dan casual, dan untuk para shutterbugs (penghobi foto) bisa mendapat perlakuan yang lebih enak saat berusaha hunting foto di sini dibandingkan Capital.